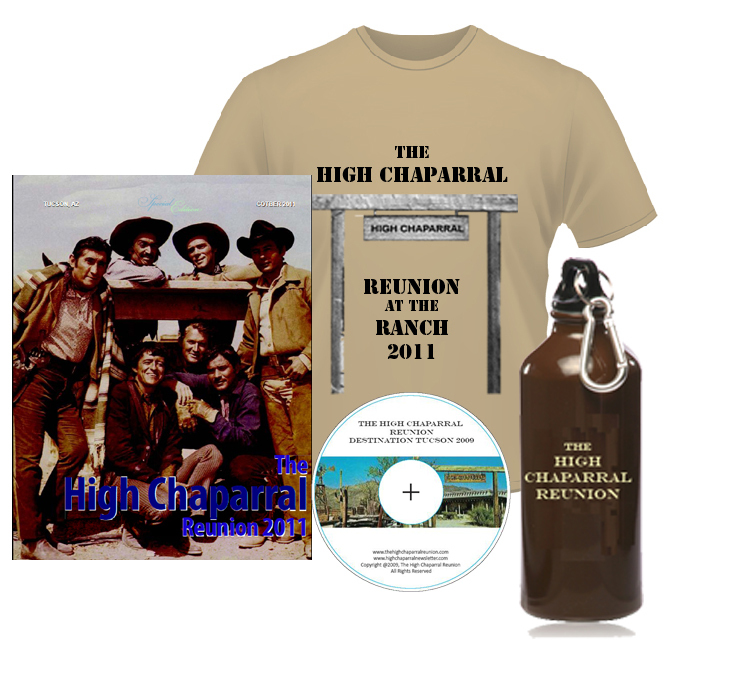 Order your copy of The High Chaparral, Season One at The High Chaparral Reunion website. This authorized edition is uncut, digitially re mastered and contains all scenes. The disks are region free, European format. Check your DVD player to see if it plays both PAL and NTSC format, but order with peace of mind, knowing that if you encounter playback issues you may return for a full refund. The Early Bird rate is only $255 for the weekend - a big discount off the regular price of $350. Don't miss the chance to save - the early bird discount ends August 31. 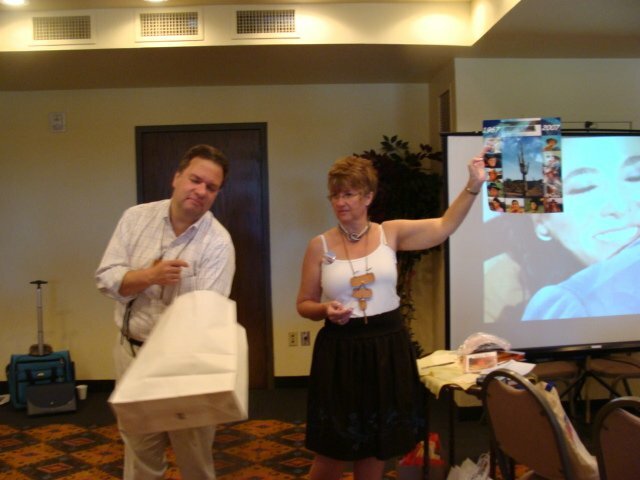 Thank you to Jean Graham for sharing her memorabilia! The Paramount back lot looked familiar. There was the old wooden stable, with the faded lettering in old-fashioned script: “Livery Horses.” Down the street was the saloon with those swinging doors. On the corner was the bank – “Established 1871” said the sign over the door. While the crew was setting up the next shot, I – lucky fellow!! – was chatting with Linda Cristal, one of the stars of the show. Linda’s the Latin type – dark, classical features, with sparkling eyes. She speaks with an enchanting accent. To put it simply, she’s beautiful. Her Latin looks are legitimate. A native of Buenos Aires, she was born Marta Victoria Moya Peggo Bouges, the daughter of Italian and French parents. Her father was a noted Argentine magazine publisher. Following the death off her parents in an auto accident when she was 13, Miss Cristal was reared by older brothers and later educated in France. As a consequence, she’s Continental in outlook, with a patina of American get-up-and-go. 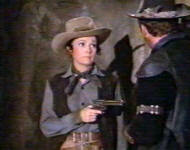 And how did a nice girl like her end up in a TV western? “Ah, that’s a long story,” Linda said with a disarming smile. “My career started in Mexico, where I was discovered by director Miguelito Aleman (son of former Mexican President Miguel Aleman). I made nine, I think, movies in Mexico. 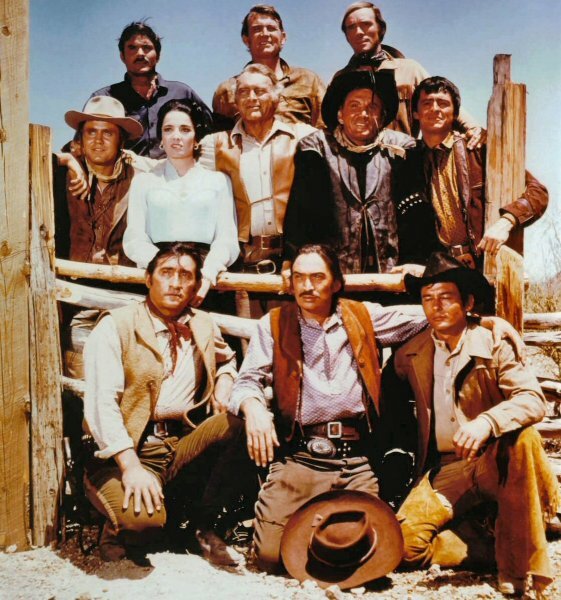 Subsequently Linda, who speaks English, Italian, French and Spanish, won a role in an American-made film, a costarring role with Dana Andrews in ‘Comanche.” She went on to make many other movies, and now has been in “High Chaparral” for the last three seasons. 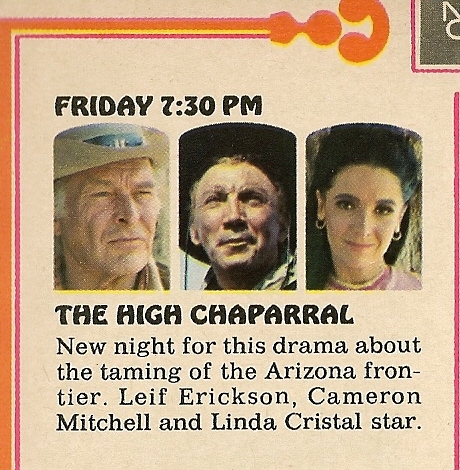 She finds “Chaparral” an arduous but rewarding series. “Only trouble is that there’s no way to get enough time.” She said. “It’s a lot of fun but hard work. Perhaps it’s really a blessing, to work so hard. “The series requires a lot of location shooting. About half of the time, I think. The location is outside Tucson, Ariz. When we’re on location, we often have to work on Saturday, but at least here it’s a five-day week. Linda, who has been in this country since 1957, still has a place in her heart for Europe, and goes abroad twice a year if she can find the time. Although she says acting “is my hobby, my fun, my work,” she also is a pianist, an art lover, and an enthusiastic sportswoman. She is presently divorced, and is rearing two young sons with whom she lives in Beverly Hills. As was quite common during interviews with TV stars on the set, our conversation was interrupted. The director ordered the crew to an indoor set. While the crew was setting up the scene, I was introduced to Cameron Mitchell, another star of the show. preferred to talk about current movie trends rather than the TV show. We chatted easily about the flicks, with Mitchell expounding with some heat on the theme of permissiveness in today’s society, particularly as reflected in the entertainment field. Just as we were about to solve all the problems, Mitchell was called. 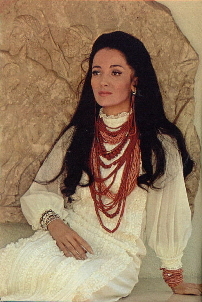 As I turned my attention to the set, which represented a room in a Mexican adobe house, there appeared Linda Cristal, dressed as a man. I’d heard of make-believe on TV, but Miss Cristal masquerading as a male … what will they do next? Disguise Cameron Mitchell as Woody Allen? It was too much. “Let’s get out of here,” I muttered to the NBC publicist. And we did, as Linda failed utterly to hide her charms. 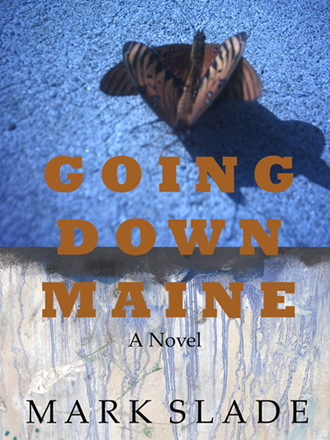 Mark Slade, High Chaparral's Blue Cannon, published a novel on July 10 titled Going Down Maine. AVailable on Amazon for Kindle, the book description is TWO BOYS. ONE SUMMER. A LIFETIME OF REGRET. As an adult, William looks back on his own loss of innocence and the callousness of youth. A mature remembrance of the unforeseen consequences of youthful indiscretion, as he tries to understand the dark forces that defined his best friend's character. As teenagers, Billy and David, along with their beloved dog Big Red, take a trip "going down Maine" for a summer vacation. There, in a strange and isolated upper Maine coastal village, Billy reflects on his friend's increasing fascination with the disturbing history and dark secrets of the local residents. Youthful choices, on this fateful trip, set in motion a series of irreversible events that change their friendship and forever alter their paths. Here among strangers, they learn the difference between those who choose a path through life and those who fight the path chosen for them. Henry Darrow is scheduled to celebrate his 79th birthday on Sept. 15 at the Autry National Center of the American West in Los Angeles. 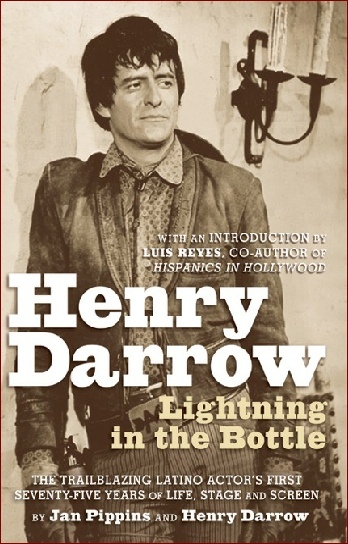 Henry will be signing copies of his biography, "Henry Darrow:Lightning in the Bottle". 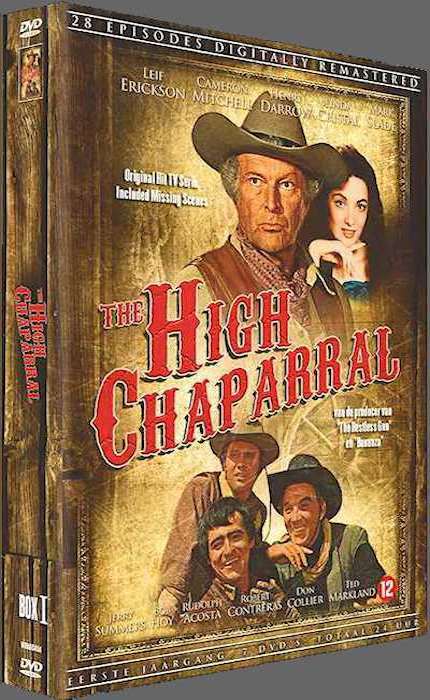 Henry will also be attending The High Chaparral Reunion, where a special autograph session for his biography is planned. A special 'thank you' to Henry and co-author Jan for providing a copy of Lightning in the Bottle for the Reunion silent auction! Listen to Henry's special message here. What is the most favorite part of the reunion for you? For many it’s seeing the Cannon ranch house as you walk through the gates of the High Chaparral at Old Tucson Studios. Does anyone besides me have a second of expecting to see Victoria standing in the doorway as if she’s been waiting to welcome you into her home? Or maybe the biggest thrill is the first glimpse of Henry Darrow, Don Collier or Rudy Ramos in the flesh, looking just as you expected them to, opening up their arms to start your friendship with a hug. And of course, there is the silent auction, that begins the moment you walk into the High Chaparral Reunion Headquarters and see the multiple tables crowded with amazing items. It's a thrill like a childhood Christmas morning, only all the presents are unwrapped. Everything is unique. Everything is something you really want to take home with you. Good thing we get two days to decide which are the must-haves to bid on. In 2011 I really had my eye on a license plate holder that said something silly like "I'd rather be home watching High Chaparral." Hope the winner, who was not me, is enjoying it! Even when we are children, Christmas is about giving as well as receiving. Do we ever get over the great feeling when a gift we’ve picked out and given from the heart is exclaimed over, whether its a dime-store trifle that was all we could afford as a kid, to a special big purchase we still have to save up to give as an adult? I get just as big a thrill from donating my Chaparral-related possessions as much as contemplating new additions to my collection, and this is universal to the many other fans who donate, too. The cast members get in the spirit as well, allowing their photos and CDs to be part of the auction (and don’t think they’re not checking out the goodies as well). I love seeing the bids on the auction sheets go up and up, knowing that the money goes into the High Chaparral Reunion fund, to make sure Penny doesn't end up paying for the reunion out of her own pocket, and of course to ensure future reunions. 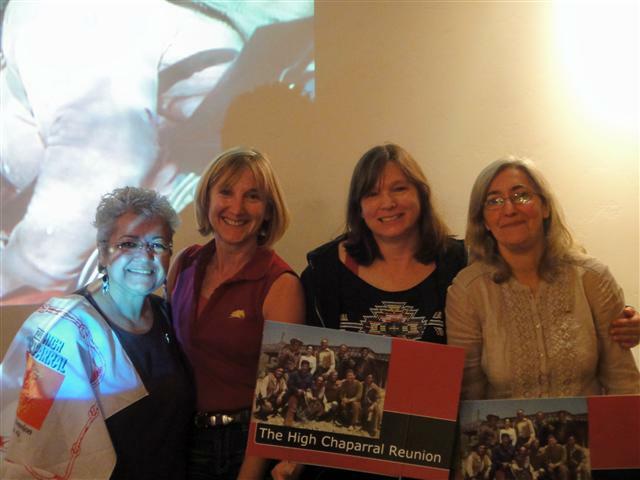 For the High Chaparral Reunion 2013 I already have made a photo book, 20 pages of High Chaparral photos, that will be one of the auction items. Of course there will be a set of Don's West of the Story CDs, and his narrated spooky Arizona stories, as well as copies of Linda, Henry, and Rudy's music CDs. And 8x10s to get personally autographed before its time to go home. My donations are just a tiny part of the auction. There will be so much more that will make you sigh, laugh, exclaim, and even bring tears to your eyes. 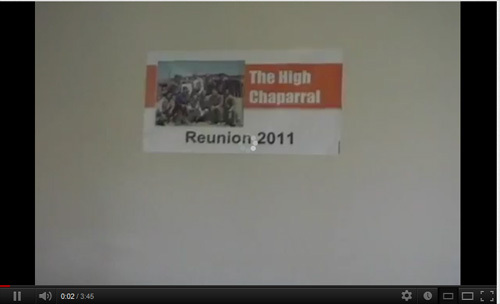 The auction will be a giant part of your High Chaparral Reunion memories. I recently watched a western where someone said, ‘What in tarnation is that?’ and it got me thinking about expressions again. So I thought that this month we will look at a few more of the Old West’s expressions. Well, as usual, there are different opinions about this. A popular one states that it comes from a euphemism of darnation which suggested hell or being damned. In today’s language it would be ‘what the hell is that?’ From darnation came tarnation as a result of blending tarnal which is a slang (think hillbilly) pronunciation of eternal and damned. Put them together and you get damned for eternity or tarnation. Another suggestion is that it is a melding of ‘entire nation’ as in ‘what in the entire nation is that?’ In today’s language it might be what on earth or what in the world is that? 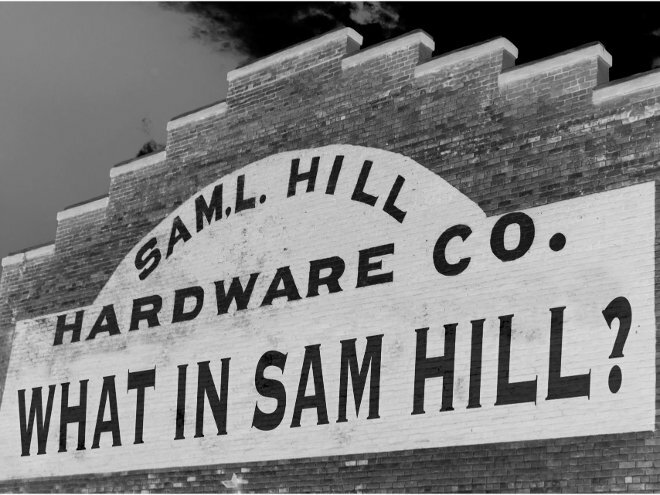 ‘What in Sam Hill…’ The name Sam Hill was used in place of swearing in the presence of ladies. In those days the preferred swear word would have been the shocking ‘hell.’ This word was never to be said in polite company! But why Sam Hill? There are a few stories going around but the one voted most likely comes from Prescott, Arizona. Back in the day, a Mr Sam Hill ran a mercantile store. Hills’ store gained a reputation for carrying some rather unusual stock among the ordinary things one might expect to find in such a store. It’s a bit like finding something really weird in Walmart – and yes, I thought of Walmart because even here in Australia we get those ‘Walmartian’ forwards in our emails which I find quite amazing. We don’t have Walmarts but we sure know what to expect if we did! In this case it’s the shoppers who are odd, not the stock. Well imagine finding something really weird and saying, ‘What in Walmart is this?’ except that in those days it was, ‘What in Sam Hill’s place is this?’ Less polite company would say, ‘What the hell is this?’ The vulgar word was replaced with Sam Hill. For those in the Prescott area, Mr Hill’s original mercantile building has been listed as a Historic Site and can be seen on Montezuma Street, Prescott. Another popular suggestion is that a land surveyor by the name of …. can you guess? Yes, Sam Hill used such foul language when he spoke that cuss words were replaced by his name. There are a number of other possible origins put forward for this expression but most seem to tie the name Sam Hill with indelicate language. 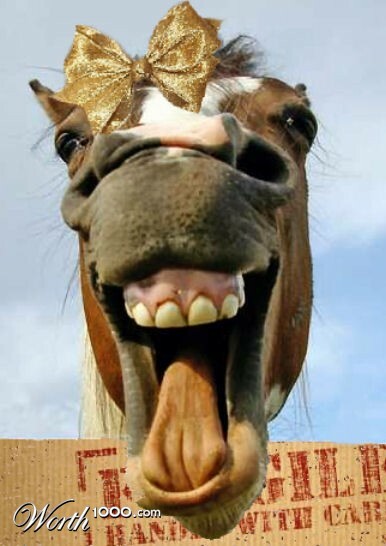 Looking a gift horse in the mouth: This one originates from the rules of etiquette whereby, if you were given a horse, it was bad manners to look inside its mouth to determine how old it was Looking in the animal’s mouth suggested that the recipient of the gift suspected the giver was trying to offload an old nag on them. Having a hog killin’time: Now this one surprised me. Naturally I thought it meant killing a hog. Well you’d think it did, didn’t you? But not when someone says they are having or had one. Seems that it means, having a wonderful time. It would be quite natural for some to say, ‘We went to the Cannon’s wedding and had a hog killin’ time!’ I expect if hogs could talk, they would aggressively dispute exactly how much fun a hog killing time really was!